Check your scamera tickets boys and girls! 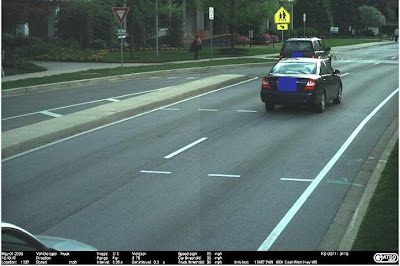 Page 35 of Montgomery County's recent speed camera report revealed that of the thousands of citations which were rejected before being mailed, 24,868 listed the reason as 'No Violation/Operator Error'. That is 24,868 speed camera errors which were discovered, but there is no way to know how many others actually went out and the drivers simply assumed that "pictures don't lie". The county has asserted that it is conducting a review of every citation, and that such errors are almost always caught. However the fact is that some of these errors are known to have slipped through. Innocent drivers were clocked at 100mph, wrong vehicles have been cited, as well as duplicate citations were mailed months later with incorrect dates. And some those drivers simply paid the invalid tickets without question. 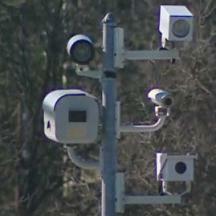 It has also been revealed recently that most of Montgomery County's cameras were not designed to distinguish the speeds of two vehicles close to each other (and are only now being replaced by a new generation of cameras which can). Many citations were apparently discarded because there were multiple vehicles in the photo. However apparently some of those citations still go out. In the case of the citation shown here, three vehicles are in the image. The ticket recipient (who had never received a speeding ticket before in decades of driving) contacted the head of Montgomery County's speed camera program calling attention to the 2nd vehicle in the citation. She was told "I have reviewed your citation and find it in good order." and that she needed to go to court if she wished to challenge it -- this despite the fact that the county's procedures acknowledge that the cameras could not distinguish the speeds of nearby vehicles and that such citations should be discarded. Despite this setback, in this instance the defendant challenged the ticket and was, after spending much more than $40 worth of time and effort preparing her defense, able to get her citation dismissed. The question is, given the difficulty of remembering and proving what your speed was weeks after the fact, and that out of state drivers have no practical way to challenge a citation in court, will we ever know how many wrongly accused drivers were not so fortunate? Remember that paying a citation is an admission of guilt. If you think you weren't speeding don't just take their word for it, fight it.